EASTERN GHOUTA, April 9. /TASS/. 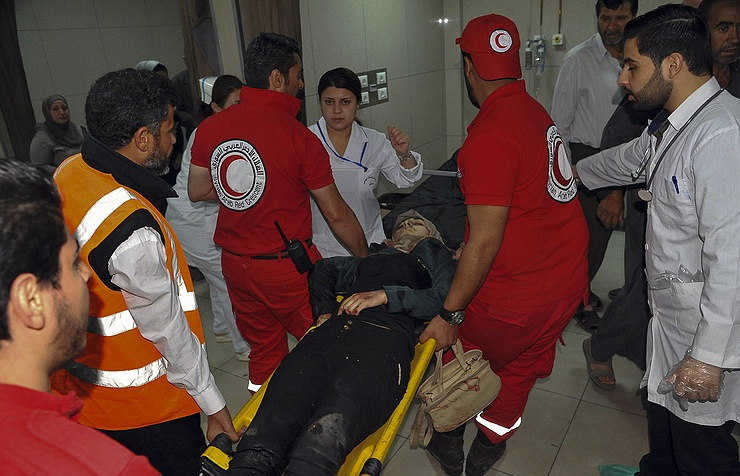 Syrian doctors in Douma have dismissed rumors they are treating patients that had been brought to them with symptoms of chemical poisoning, the Russian center for the reconciliation of conflicting parties told the media on Monday. "Syrian doctors in Douma have dismissed the rumors they had received patients suffering from chemical poisoning. 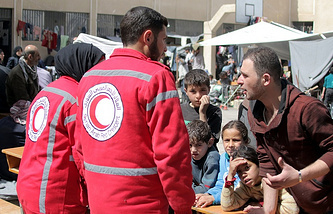 In an interview to the media doctor Yaser Abdel Majid, of the city hospital, said that they had never received patients with chemical poisoning either last weekend or since the beginning of hostilities in Syria," the reconciliation center said. Earlier, staffers of the Russian center for reconciliation had questioned doctors and other personnel of Douma’s hospital. The medics said that "all those who had received their medical aid had ordinary injuries, fractures and fragmentation and gunshot wounds." "On April 6-8 we had not a single patient suffering from chemical poisoning. Only ordinary war wounds," he said. Also, the reconciliation center said "militants leaving the city have been questioned and none of them knew anything about chemical weapons allegedly used against them. ".